Look at your allies before healing. Overwatch’s latest support hero Baptiste might have been having a hard time healing his allies. 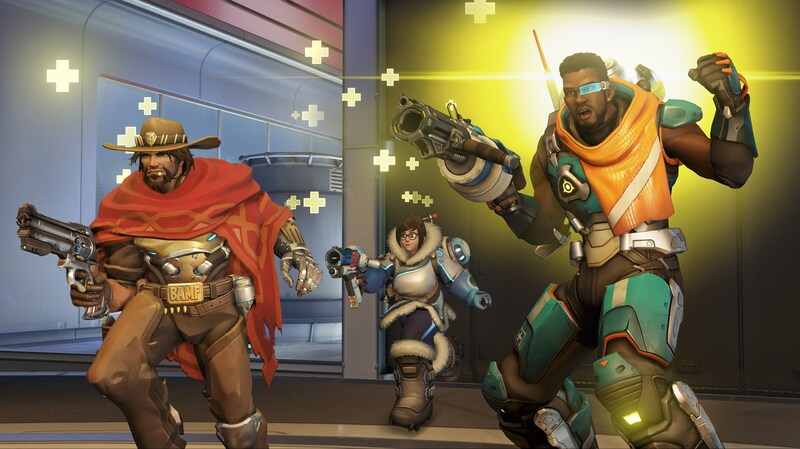 One of his abilities has a bug that appears depending on whether Baptiste is looking at his allies. Baptiste’s Regenerative Burst ability seems to have a bug that, in a few instances, makes it heal allies only when he’s looking at them. In theory, this ability should heal allies regardless of that. It’s supposed to heal allies for 150 health over five seconds if they’re within a 10-meter radius around Baptiste when he activates that ability—but it’s not working like that. Twitch streamer mL7 tested the ability with his friend in a custom match. He gets Pharah, deals damage to himself, and then stands up behind his ally’s Baptiste on a high ground. First, he asks his friend to activate the Regenerative Burst while facing forward, which has no effect. Then he asks his friend to turn around without looking at his Pharah, and once again, the ability doesn’t heal mL7 upon activation. Finally, Baptiste manages to heal Pharah when he looks at her without moving from that second position. This test is conclusive but limited. ML7 was on high ground, not on the ground right next to Baptiste, so it might also have been a case where Regenerative Burst healed his Pharah when it shouldn’t instead of the other way around. Either way, the ability seems to be working as a projectile of some sort when Baptiste looks at an ally. This is certainly not intended behavior as mL7’s allied Baptiste just turned around but never got closer to his Pharah in the process. The next time you jump into a match with Baptiste, it might be a good idea to quickly turn around and face your teammates to heal them if they’re behind you.